Mossad, realities and myths of Israel’s national intelligence service – protecting Israeli interests from transnational terrorism and other complex threats. Mossad is one of the world’s most famous, some may say feared intelligence agencies. As part of Israel’s intelligence community it works alongside sister organisations such as Aman (military intelligence) and Shin Bet (Israel’s domestic security service). In the aftermath of the holocaust and World War II, the formation of the modern state of Israel in 1948 was met with immediate Arab resistance. In the War of Independence, the armies of Egypt, Jordan, Syria, Lebanon and Iraq attacked the fledgling state. Israel, facing existential threat from inception had need of extensive military, security and intelligence capabilities. Protection of the homeland from volatile and hostile neighbours, hunting Nazi war criminals, protecting and gathering in the diaspora were immediate challenges. 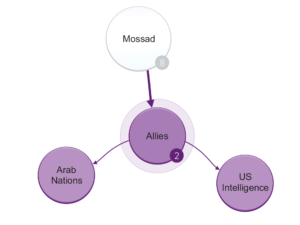 Mossad therefore had to establish itself quickly, form strategic alliances with other intelligence agencies and work to protect Israeli interests on the global stage. In so doing, it established a reputation for ingenuity, fearless commitment and ruthless execution of executive actions. As threats to Israeli interests evolved, the Six Day War of 1967 (Oren, 2003), Yom Kippur War of 1973, Lebanese civil war, the end of the Cold War, risks of nuclear proliferation in Iraq and now Iran (Gold, 2009, pp. 263-300), and a rise of international terrorism, Mossad has had to be adaptable and highly proactive. This proactivity has often been lionised, but mistakes have also been made, with injurious diplomatic and critical public opinion (at home and abroad). 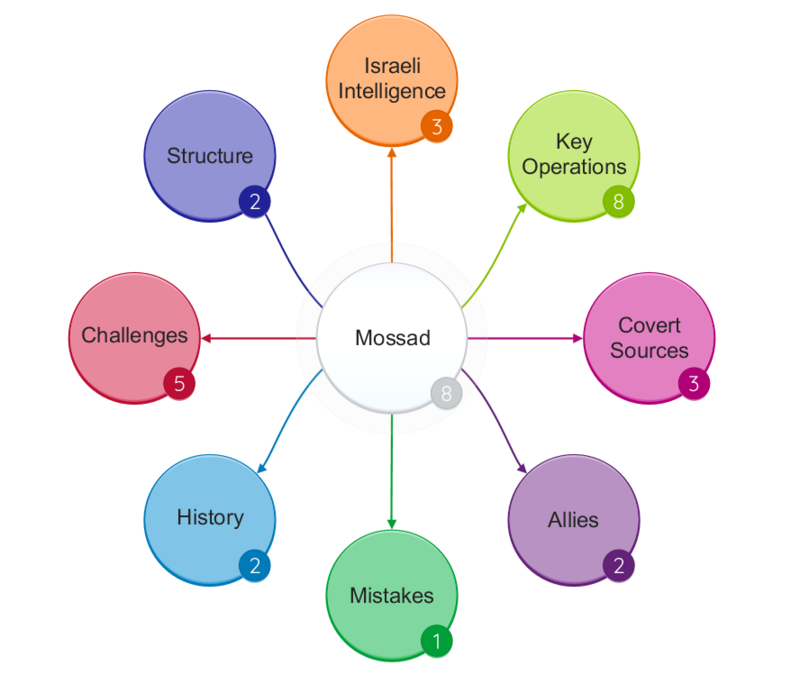 In stripping away some of the mythology surrounding Mossad, it is therefore helpful to consider its history and evolution, modus operandi, and evolving priorities and challenges. 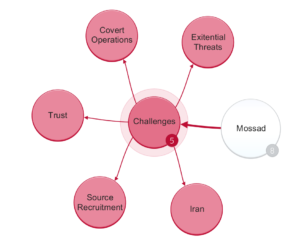 This leads to a critical assessment of Mossad’s role and capabilities in global counter-terrorism and world espionage. Mossad was operationalised in 1951 by order of Israeli’s first Prime Minster David Ben Gurion. This was part of a reorganisation of the pre-independence security and intelligence apparatus aimed at both developing capability and ensuring coherence across functions. The Haganah became the core of Israeli Defence Forces (IDF) in 1948. Haganah’s intelligence division, the Shai became the central agency for military intelligence (latterly known as Aman). Shin Bet was likewise formed in 1948 as the internal security service, initially under the IDF, but soon reporting directly to the Prime Minister. The Aliyah Bet had focused on supporting Jewish immigration to British Palestine throughout the 1930s and 40s. Its intelligence functions included understanding threats posed by hostile states to diaspora Jews. Other intelligence strands included police intelligence and under the Israeli Foreign Ministry, developing relationships with the global intelligence community. 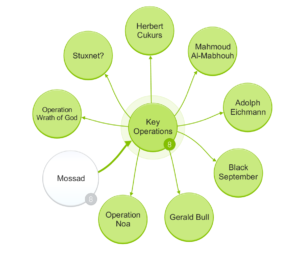 Ben Gurion’s reorganisation saw the creation of the Institution for Intelligence and Special Operations (Mossad). Its first director was one of its central advocates, Reuven Shiloah (Raviv and Melman, 2014, pp. 26-27), a close associate of Ben Gurion. The Institute’s primary aim was collection of foreign intelligence and protection of the State of Israel from hostile international actors. Mossad enjoyed support from the Central Intelligence Agency (CIA), receiving equipment, intelligence and operational support from inception. Unsurprisingly, Mossad engaged in Nazi hunting operations in the aftermath of WW2. The Mossad tracked and kidnapped Adolph Eichmann from Buenos Aires in 1960 (Payne, 1991, pp. 68-72). Eichmann was a high ranking Nazi, a lynchpin in the organisation of the holocaust. He was tracked by Mossad, returned to Israel for criminal prosecution and subsequently hanged. In 1965, Mossad also tracked and executed Latvian Nazi collaborator Herbert Cukurs in Uruguay (Druckman, 2015). Cukurs was reportedly responsible for the murder of 30,000 Latvian Jews. It is likely that Mossad also aided the work of Nazi hunters such as Simon Wiesenthal, Serge and Beate Klarsfeld and others. Mossad also focused on developing human intelligence sources within foreign militaries and governments. Placement of agents such as Eli Cohen, who infiltrated the very highest echelons of Syrian society are important (Eisenberg, Dan and Landau, 1978, pp. 68-132). Cohen’s intelligence, particularly in relation to Syrian military positions on the Golan Heights had significance in the Six Day War of 1967. The availability of agents like Cohen (Jewish immigrants from Arab countries) was made all the more possible by the nature of immigration to Israel pre and post-independence. 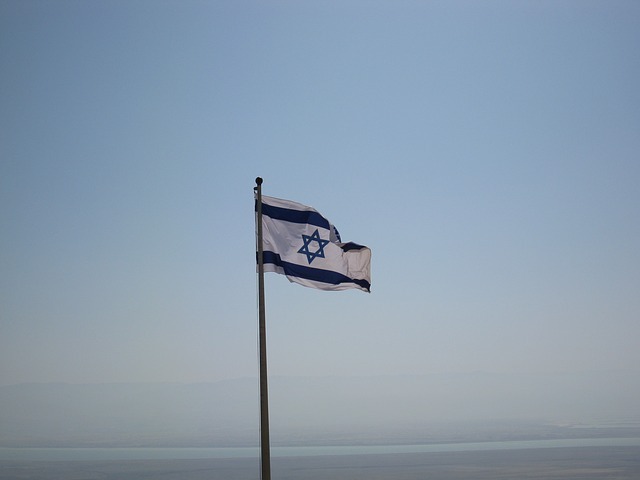 Throughout its history, Mossad has focused on protecting Israel from existential threat (such as nuclear attack from Iraq or Iran), conventional attack from hostile neighbours and alliances, terrorism (from the Palestinian Liberation Organisation (PLO), Hamas, Hezbollah (Saab and Blanford, 2011) and others), furthering Israel’s defensive capabilities (through signals and human intelligence collection), acquisition of weapons, nuclear materials and technical know-how. As Mossad has evolved to meet emerging threats, its ideology and aims remain rooted in its earliest foundation. The protection of Israel, a homeland of sanctuary and security, an ending to threat of pogrom or holocaust. Mossad has a reputation for assassinating enemies and there are a number of reported examples including the deaths of nuclear scientists in Iraq and Iran, the killing of supergun designer Gerald Bull (Lowther, 1991) in Brussels and the targeting of members of Black September (Katz, 1990) after the 1972 Munich Olympics massacre of Israeli athletes (Jonas, 2010). Ideologically, Mossad has demonstrated a propensity for both proactive and retributive strikes. Its aims have been both to understand and prevent emerging threats to Israeli interests, whilst at the same time (perhaps somewhat through myth) to portray Israeli intelligence as omniscient and invincible. It has been careful not to risk security of diasporas in its foreign engagements, although the case of Jonathan Pollard and intelligence collection against US Intelligence suggests that self-interest has at times overcome loyalty of allegiance (Shimoni Stoil and Newman, 2015). Having briefly touched on the history, aims and ideology of Mossad, it is next helpful to consider its contemporary structure and methods. As a highly secretive organisation, a limited amount of information relating to structure is in the public domain. It is likely that the organisation is around 2000 strong, a relatively small intelligence service, but perhaps able to operate a global scale through partnership with other agencies and helpers (Sayanim). It is suggested that Kidon units within Mossad are responsible for targeted assassination, sabotage and complex information gathering operations. It is likely that field operatives within such units are drawn from special forces. Kidon is reportedly part of Special Operations Division (the Metsada) and it has been suggested that they played a role in the killings of Dr. Gerald Bull in Brussels in 1990 (Malone and Halevy, 1991) and Hamas commander Mahmoud Al-Mabhouh in Dubai in 2010 (Gardham, 2010). A signature method of Mossad is deniability. Other departments are said to include Lohamah Psichlogit (LAP) tasked with propaganda, information warfare and deception. 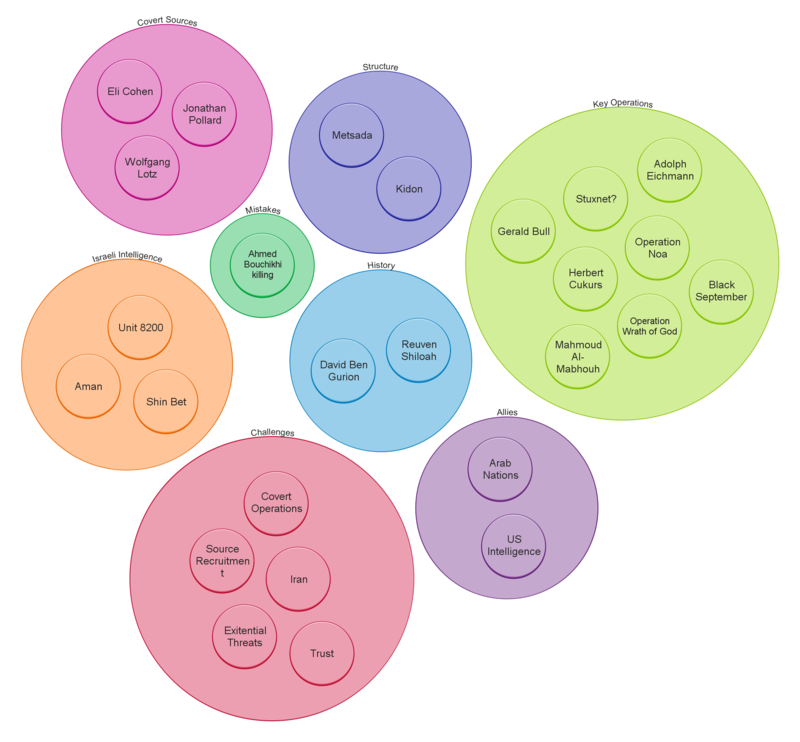 Technology departments tasked with developing computing, electronic and signals advantage are likely along with other research departments. Similarly to the CIA, Mossad operates intelligence collection across the globe. It is said to have numerous foreign bureaus, some operating from diplomatic missions (in friendly countries), others operating out of front companies. Liaison functions with intelligence and foreign ministries of friendly nations are also in place. In monitoring threats to the Israeli state, its methods include recruitment of human intelligence (HUMINT) sources from within foreign militaries, government and private sectors. It is also monitoring international terrorist organisations, with particular interest in regional players such as Hamas and Hezbollah. It has engaged in targeted killings against terrorist groups as well as running recruitment, blackmail and kidnapping operations. 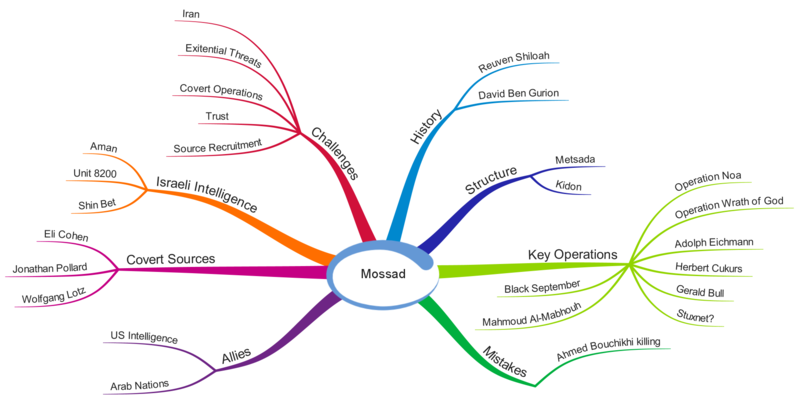 Many of these methods risk blowback, and Mossad must therefore (with others in the intelligence sector) consider the benefits and risks of certain actions. Mossad also works alongside Unit 8200, the primary Signals Intelligence (SIGINT) collector within the IDF Intelligence Corps. As at the time of Mossad’s inception, intelligence co-ordination and fusion is therefore an important focus. In terms of priorities and targets, monitoring hostile foreign intelligence and transnational terrorism has importance. 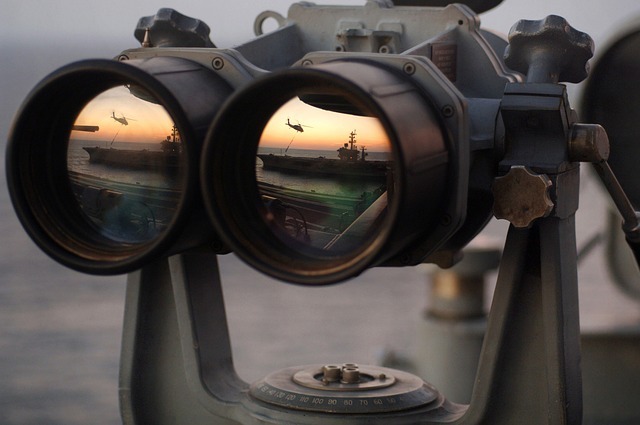 Collection using a range of means transcends HUMINT and SIGINT and developing an understanding of global economies, defence capabilities, technologies and electronics, disease, migration and other factors are essential in building a coherent intelligence picture. In terms of understanding the hierarchy of priorities, it is helpful to consider the threats to Israel in the context of capability and intent of hostile actors. For example, proliferation of weapons of mass destruction in Iraq or Iran might well develop into a truly existential threat to Israel’s survival. The 1981 attack on the Osirak reactor near Baghdad (Shipler, 1981) and more recently the Stuxnet cyber-attack against Iranian centrifuge control systems (alleged to have had Israeli and American involvement) provide examples (Nakashima and Warrick, 2012). Operating in a hostile region, and with lack of progress in peace negotiations with Palestinians, Israel has found itself increasingly diplomatically isolated. Understanding shifting allegiances, particularly against a backdrop of the Arab Spring, the Sunni / Shia axis and proxy wars between Saudi Arabia and Iran is vital. Beyond governmental actors, Israel is also faced with Boycott, Divestment and Sanctions (BDS) movements, some which may have foreign state backing. Collecting against and combatting narratives of BDS activism is a likely priority, not least because of the scale of reputational and economic damage this could cause in the long term. Although in public, diplomatic relations between Israel and certain Arab nations may appear frosty, there is likely co-operation and back channels between security agencies. 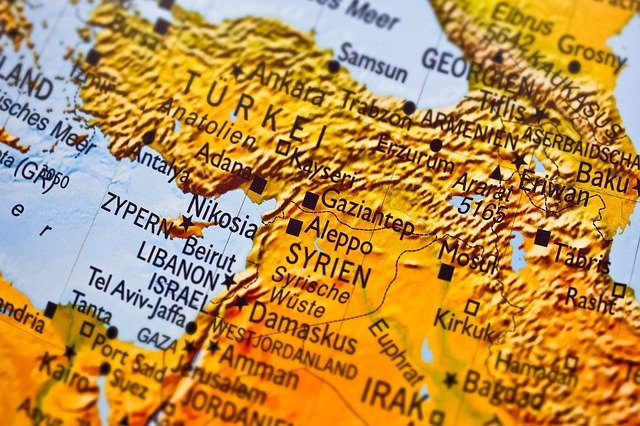 Israeli intelligence is also likely monitoring friendly states, not least to understand potential foreign policy responses and geopolitical change. The recruitment of Jonathan Pollard, who served 30 years for espionage against the US, demonstrates the dangers. 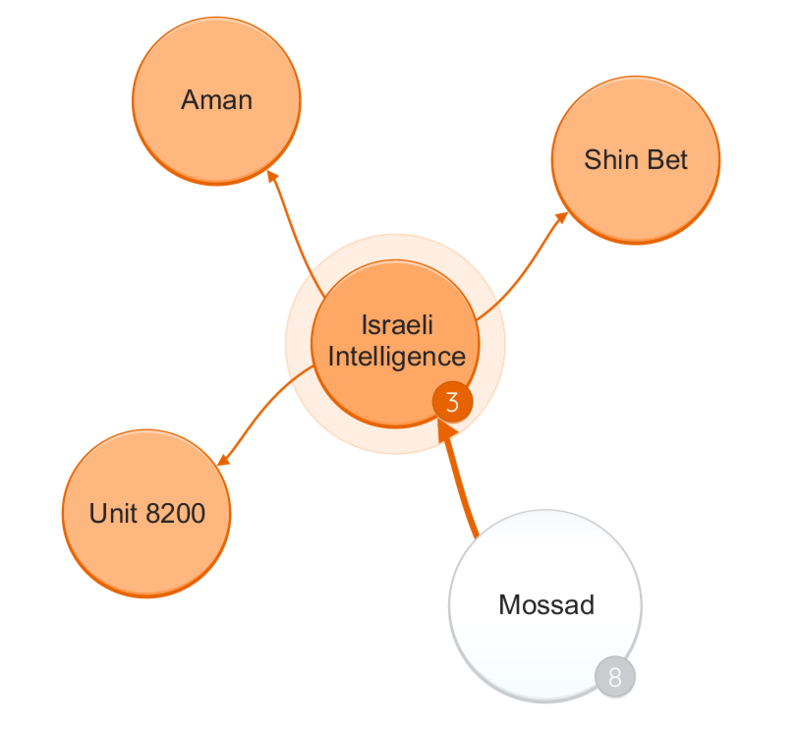 Working alongside Shin Bet and Aman, Mossad also has interests in counter-intelligence. The return of Mordechai Vanunu to Israel following his leaking of Israeli nuclear secrets to the British press in 1986 is said to have had Mossad involvement (Thomas and Dillon, 2002, pp. 144-153). Mossad therefore faces a range of challenges, geo-political and technical. Operating in hostile and volatile regions is extremely dangerous. Alleged Mossad collaborators have been publicly executed in the Gaza Strip. Capture by an enemy state or terrorist group is likely to end in torture and probable killing. The balance of when to use lethal force operations against enemies is also challenging. The risk of blowback (military or diplomatic) in killing a Hamas leader or bomb maker is often unclear. After the Cold War, Israel arguably found itself more politically isolated and actions that risk further ostracization must be assessed carefully against security benefits. The risks of failed or bungled operations must be considered. 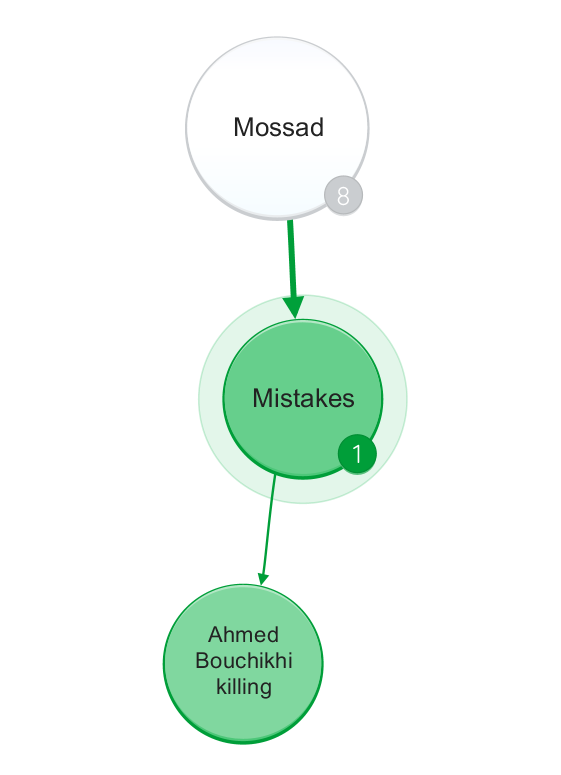 The detection of Mossad spies by the Swiss in 1998 (BBC World: Middle East, 1998) or the mistaken identity killing of Ahmed Bouchikhi in Norway in 1973 (Mellgren, 2000) underscore a critical challenge. It is vital to never be wrong, and never be caught. The availability of recruits from Arab countries, with cultural and language skills is arguably falling due to dwindling diasporas (for example in Syria or Iraq). Availability of such recruits at time of Israeli independence is likely to have greatly assisted Mossad’s early capabilities. Israeli society however remains ‘militarised’ and national service provides a talent spotting and recruitment pool for the various branches of Israeli intelligence. Israel is a leader in technological innovation, with many cyber and physical security companies in the private sector. Links to industry and academia are therefore mature. The challenge for Mossad and others is how best to exploit technological advancement (in Artificial Intelligence, Big Data, Cyber Security etc.) without injurious effect on the domestic technology sector and exports. Any detected attempt to ship tampered electronics or software or to operate through a front technology company could be highly damaging to trust in Israeli exports. Against a backdrop of these challenges, it is interesting to assess the effectiveness of Mossad by considering some of its key successes and failures. As neither Mossad nor the Israeli government is likely to publicly comment on many of these (particularly contemporary) actions, involvement of Mossad should be taken as ‘alleged’. Retribution against Nazi War criminals, the Eichmann capture and execution of Herbert Cukurs demonstrated Mossad’s effectiveness at long range operations in South America. The ability of Mossad to locate, kidnap or kill, then exfiltrate was undoubted. The planting of agents Eli Cohen in Syria and Wolfgang Lotz (Thomas, 1999, p. 53) in Egypt provided successes against hostile nations, although both were eventually discovered, Cohen hanged and Lotz imprisoned. The recruitment of Iraqi pilot, Munir Redfa and his defection to Israel in 1966 along with a Russian Mig 21 fighter was a major coup. Israel was able to acquire and then share military intelligence on state of the art Russian aircraft. In 1969, during Operation Noa, agents ‘liberated’ missile boats from Cherbourg, embargoed by French President Charles de Gaulle. After the killing of Israeli athletes at the Munich Olympics in 1972, Operation Wrath of God was mounted to hunt down and execute Black September perpetrators (Burkett, 2008, pp. 257-307). Operation Thunderbolt (David, 2016) in 1976 demonstrated Israel’s hostage rescue prowess, in a highly successful raid on Entebbe airport in Uganda. Mossad played a key role in the Israeli nuclear programme, with an alleged front company being used to acquire significant tonnage of yellowcake. Mossad has been key in defeating hostile state and terrorist threats against Israel, while at the same time acquiring top grade military intelligence and weapons capability (Bar-Zohar and Mishal, 2015). Mossad’s reputation as one of the world’s best intelligence agencies is therefore perhaps well earned. However, not all operations have been flawless. The discovery of spying activities against the US and Switzerland caused significant friction. The killing of an innocent waiter in Lillehammer, Norway and subsequent arrest and prosecution of agents highlights fallibility. The killing of Mahmoud Al-Mabhouh in Dubai although arguably a successful mission caused significant international criticism. The use of false British, Irish, German and French passports by perpetrators caused significant diplomatic rancour. Assuming Mossad carried out the operation, it demonstrated skill in planning, execution and evasion. With proliferation of CCTV, images of the suspects went around the world. This illustrates a key challenge for contemporary agents, evading detection and identification under a panopticon of public surveillance. 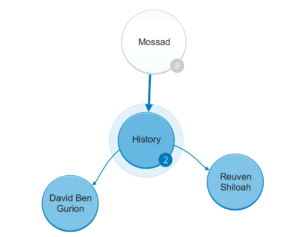 In terms of familial resemblance, Mossad appears closest to the CIA. Both have ability and willingness to play across a wide range of intelligence capabilities and prosecute targeted killings and executive actions. Immigration into both countries have been defining characteristics, although identity is perhaps more coherent in diaspora immigration into Israel. Mossad has therefore benefited from availability of loyal and motivated agents with language and cultural skills from across western, Arab and former Soviet worlds. Israel’s and Mossad’s ability to influence Middle East events position it as a powerbroker across the Sunni Shia axis. In public, some cast Israel as pariah, but there are undoubtedly other backchannels through which Mossad engages common security concerns with seemingly unfriendly regional neighbours. The Israeli military and intelligence apparatus is regarded as world-leading. Given the size of the state of Israel and its limited resources and budget, its influence and capabilities are enviable. Through close alliance with the US and CIA, Israel has no doubt benefited from symbiotic collaboration with numerous western governments and intelligence agencies. Diaspora communities give Mossad reach, but exposing these communities to blowback is a risk that demands careful management. Mossad projects a reputation, somewhat mythologised as a ruthless avenger, and this may well act as a deterrent for would-be hostile actors. Its capabilities are wide ranging and in association with Shin Bet and Aman, formidable. Mossad failures throughout the 1980s caused reputational damage, both in the international community and within the homeland. Mossad actions are therefore arguably even more clandestine, although the killing of Hamas commander Mahmoud Al-Mabhouh and allegations surrounding the Stuxnet virus have ensured continuing public interest. 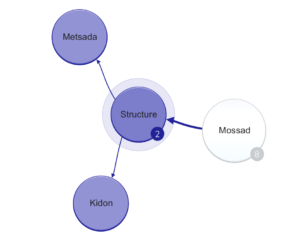 Mossad has adapted to shifting threat profiles, from the War of Independence in 1948 through the Six Day War of 1967 and Yom Kippur War of 1973. The ending of the Cold War in 1989 also had significant regional impact. Mossad has no doubt re-oriented itself to the realities of a post-Arab Spring, and must continue this agility and adaptability as political, sociological and technological change sweeps through the region. The stakes are high for Israel and it is likely to view all but the closest of allies as transient. A peace settlement with the Palestinians may positively impact regional security, although this seems far off. Mossad in monitoring intent and capability of Hamas and other actors may well have a role to play in securing or creating space for renewed political negotiations. We really hope you found our article on the Israeli National Security Service – Mossad useful and enjoyable. 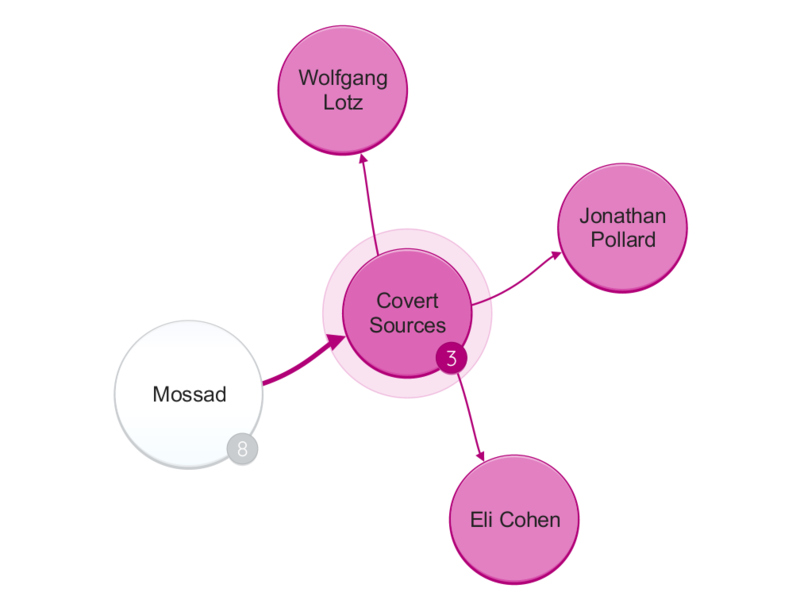 Bar-Zohar, M. and Mishal, N. (2015) Mossad : the great operations of Israel’s secret service. London: Robson Press. BBC World: Middle East (1998) Israel apologises to Swiss over spying, BBC. Available at: http://news.bbc.co.uk/1/hi/world/middle_east/60242.stm (Accessed: 8 January 2018). Burkett, E. (2008) Golda Meir: The Iron Lady of the Middle East. Gibson Square. Druckman, Y. (2015) ‘50 years ago: How Mossad caught “the butcher of Riga”’, YNet News, 3 July. Available at: https://www.ynetnews.com/articles/0,7340,L-4634365,00.html (Accessed: 8 January 2018). Eisenberg, D., Dan, U. and Landau, E. (1978) The Mossad Israel’s Secret Intelligence Service: Inside Stories. Paddington Press. Gardham, D. (2010) ‘Dubai Hamas assassination: how it was planned’, Telegraph, 17 February. 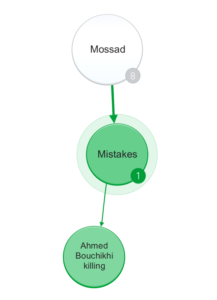 Available at: http://www.telegraph.co.uk/news/worldnews/middleeast/dubai/7251960/Dubai-Hamas-assassination-how-it-was-planned.html (Accessed: 8 January 2018). Gold, D. (2009) The Rise of Nuclear Iran: How Tehran Defies the West. Regnery. Jonas, G. (2010) Vengeance. Harper Perennial. Katz, S. M. (1990) Guards without frontiers: Israel’s War Against Terrorism. London: Arms and Armour Press. Lowther, W. (1991) Arms and the Man: Dr. Gerald Bull, Iraq, and the Supergun. Macmillan. Malone, W. S. and Halevy, D. H. (1991) WHO MURDERED GERALD BULL?, Washington Post. Available at: https://www.washingtonpost.com/archive/opinions/1991/02/10/who-murdered-gerald-bull/bfce6e11-7dff-4964-864d-29db5e02753b/?utm_term=.50473269cfef (Accessed: 8 January 2018). Mellgren, D. (2000) ‘Norway solves riddle of Mossad killing’, The Guardian, 2 March. Available at: https://www.theguardian.com/world/2000/mar/02/israel (Accessed: 8 January 2018). Nakashima, E. and Warrick, J. (2012) ‘Stuxnet was work of U.S. and Israeli experts, officials say’, Washington Post, 2 June. Available at: https://www.washingtonpost.com/world/national-security/stuxnet-was-work-of-us-and-israeli-experts-officials-say/2012/06/01/gJQAlnEy6U_story.html?utm_term=.0232c74b137e (Accessed: 8 January 2018). Oren, M. B. (2003) Six Days of War: June 1967 and the Making of the Modern Middle East. Presidio Press. Payne, R. (1991) Mossad : Israel’s Most Secret Service. Corgi Books. Raviv, D. and Melman, Y. (2014) Spies against Armageddon: Inside Israel’s Secret Wars. Levant Books. Saab, B. Y. and Blanford, N. (2011) ‘The Next War: How Another Conflict Between Hizballah and Israel Could Look and How Both Sides Are Preparing for It’, (24), p. 23. Shimoni Stoil, R. and Newman, M. (2015) ‘US-Israeli spy Jonathan Pollard freed from prison after 30 years’, Times of Israel, 20 November. Available at: https://www.timesofisrael.com/us-israeli-spy-jonathan-pollard-freed-from-prison-after-30-years/ (Accessed: 8 January 2018). Shipler, D. K. (1981) ‘ISRAELI JETS DESTROY IRAQI ATOMIC REACTOR; ATTACK CONDEMNED BY U.S. AND ARAB NATIONS’, New York Times, 9 June. Available at: http://www.nytimes.com/1981/06/09/world/israeli-jets-destroy-iraqi-atomic-reactor-attack-condemned-us-arab-nations.html (Accessed: 8 January 2018). Thomas, G. (1999) Gideon’s Spies: The Secret History of the Mossad. First Edition. New York: St. Martin’s Press.